Need I mention the heat? Nope. I think not. 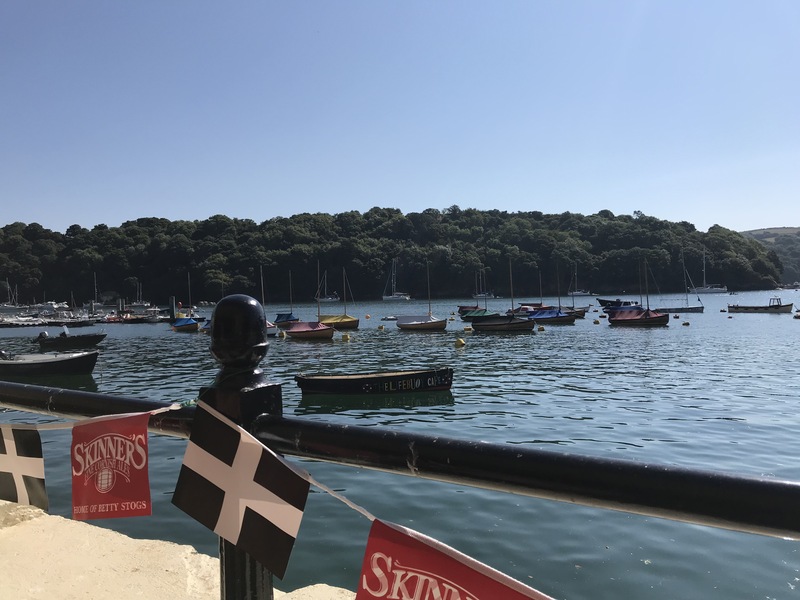 We had respite from the worst of it for ten days when we went to Fowey, in Cornwall, where temperatures were a few degrees cooler. I won’t mention the heat though. Rain – I will mention the rain. 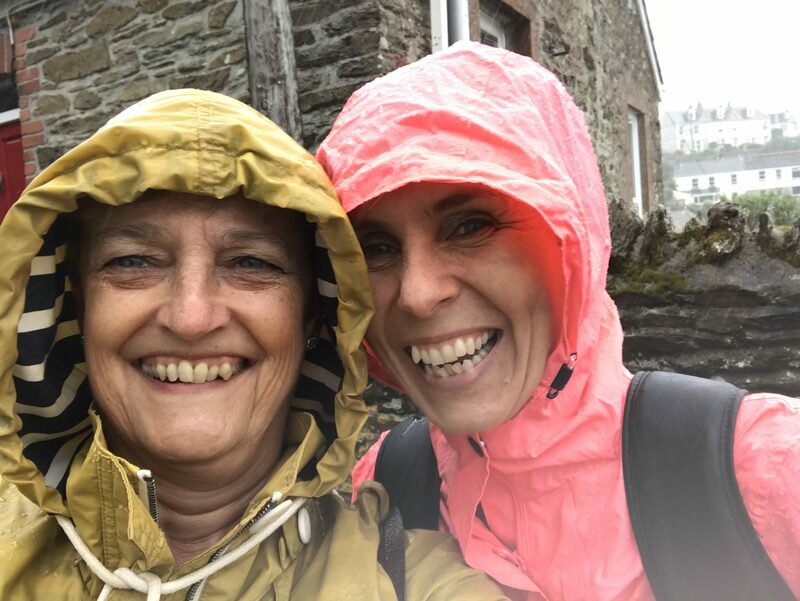 Such cool, refreshing and thirst quenching rain it was that met us as we set off on the ferry from Fowey to Polruan, a mere 5 minute trip. Of course, the trip itself was not without incident. There we three were, alone on the quayside, the only ones in the queue. Presently, others joined us, including a large party of German walkers. The Mevagissey Ferry arrived first and many departed on that. We were at the front of the queue, still waiting for the Polruan ferry. Behind us, there was some murmuring. The party of walkers appeared to be muttering amongst themselves. I heard one ask if the people in front were waiting for the next Mevagissey ferry. They were. The party of walkers edged down the slipway and stood a little way behind us. A cute French Bulldog, overweight and hot, rolled on the glistening slipway and amused us with his antics. His owners were also waiting for the Polruan ferry. We waited politely, while its passengers disembarked, stepping back to allow them to pass. The group of walkers were becoming agitated and before we knew it, had pummelled their way, elbows out, through the queue. They did not ask us which ferry we wanted. Merging with the incoming passengers, they were determined to board. It is a wonder no one ended up in the water. Pushing us to the side, they launched themselves onto the boat, heedless of our fate or that of the couple with the French bulldog. “That’s it, no more, can only take 12,” the Captain informed us all. Several of their party begged to be allowed on but ‘rules is rules’ and the boat is insured for 12 passengers. It sailed off and the disgruntled walkers huffed and puffed. We looked at one another and shook our heads. How had that happened? The ferry was back within ten minutes. We were better organised this time and managed to be first on board. The remaining panicked walkers elbowed their way onto the boat. We forgave them. They were guests in our country after all. Half way across, the strangest thing happened, drops of rain began landing on our heads. We pulled on our waterproofs just as the skies opened. 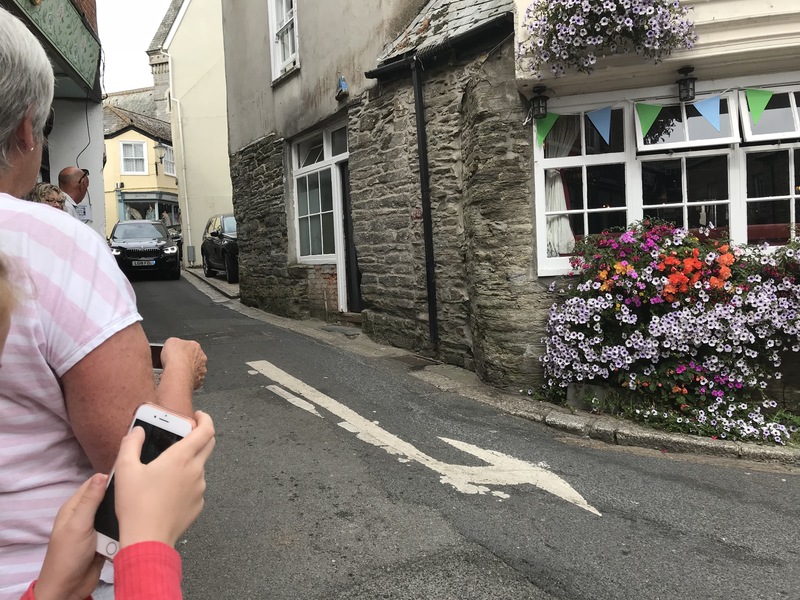 Thus, we stepped onto Polruan soil. We planned to walk the three miles to Bodinnick and take the Bodinnick ferry back to our house. The cloudburst was torrential. We shrugged, well, in for a penny! Off we set across cliff and through woodland and creek. We admired the cool, green waters of Pont Pill, far below us and the rain could not deter us. Indeed, the sights and smells were enhanced by it. 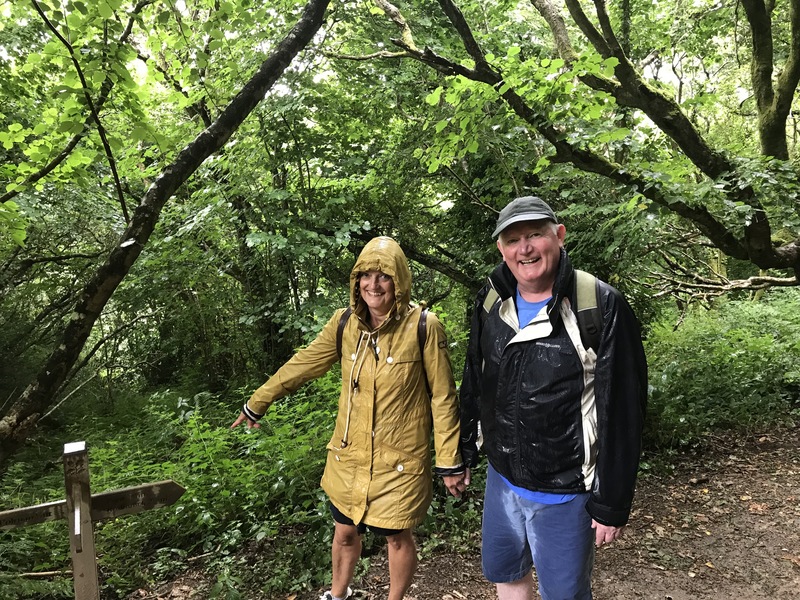 By the time we were two miles in, we had seen no one but here we were able to discard raincoats and sit down for the picnic Dave had packed, on a handy bench, breathing in the sweet aroma of recent summer rain. People began emerging from the opposite direction. They had evidently waited for the rain to stop. They had missed a treat. That was the only rain we experienced. Worth a mention though! We even took photographs. A little bedraggled but isn’t it great? 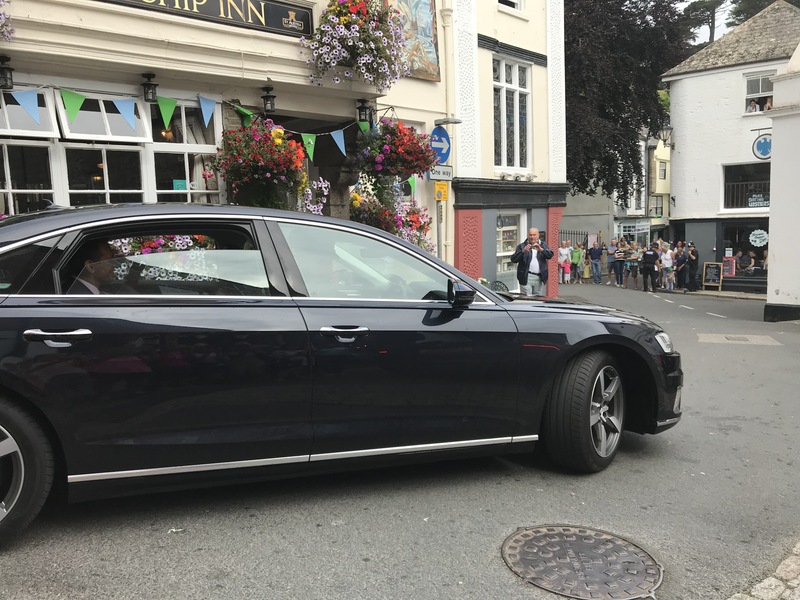 Before we had even got to the ferry that day, there was great excitement in Fowey because HRH Prince Charles and The Duchess of Cornwall were due to visit the Town Quay on their annual trip to Cornwall. We made an unscheduled stop by the Quay as their arrival was imminent. The photos were no better than those taken when we saw Prince William in a Right Royal Occasion. A Royal Watcher, I could not be. Still, I saw Camilla in the car…I do like that lady…and we were there. 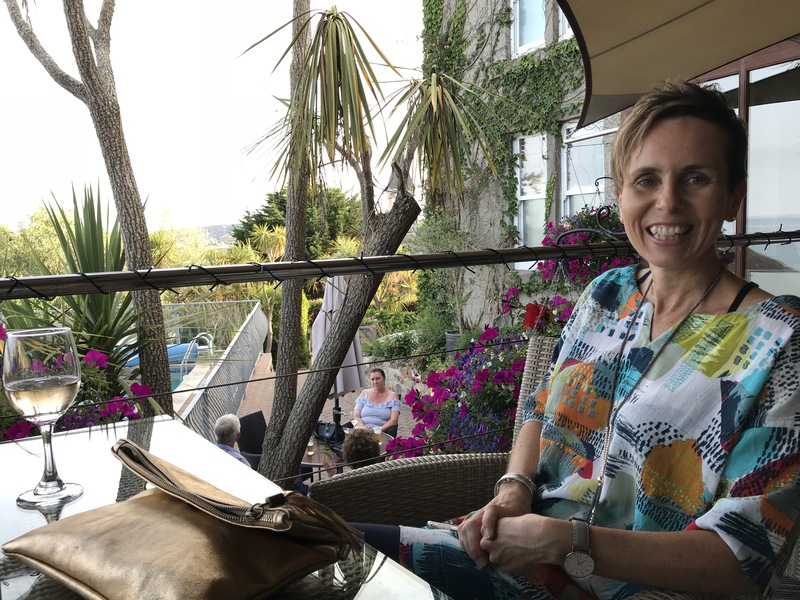 Other highlights of our stay included a trip to Penzance – stopping at Castle Pendennis on the way. We arrived at 12pm just as the Castle closed for an hour due to a wedding taking place within its walls. Not to worry. We walked around the grounds and saw some big guns and cannons before heading off to Penzance for two nights. The temperature was a little cooler and fresher than Fowey. Not many braved the outside pool which was not heated though Lisa did think about it. Looks like Portugal in the photos! A trip to Porthcurno was amazing and informative. I had not realised the part this little port played in the history of cable and wireless. 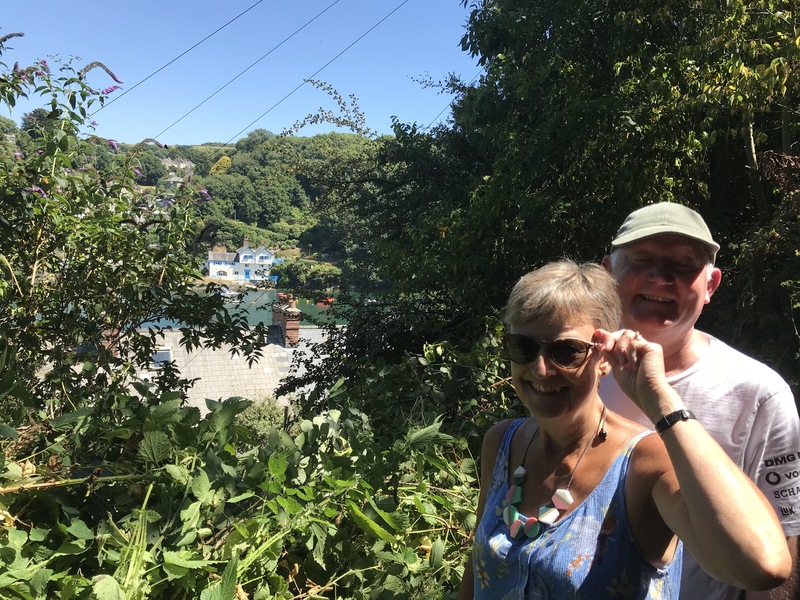 Back in Fowey, (we call it home now, especially having abandoned it for a couple of nights) we re-discovered our secret garden on the cliffside behind us. 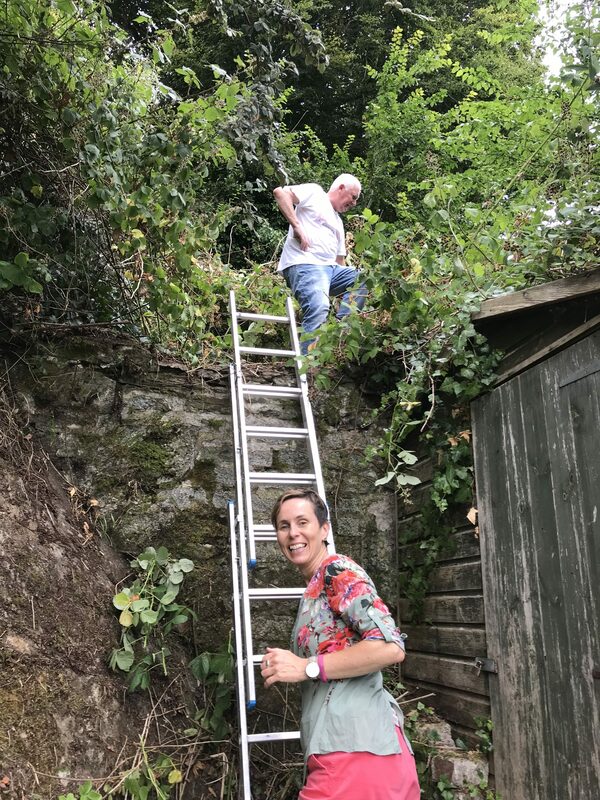 After a rather precarious climb, up and up we went with sixty rocky steps to negotiate, some of which were little more than loose slates, we edged our way along the path. We found the way blocked by jungle growth. 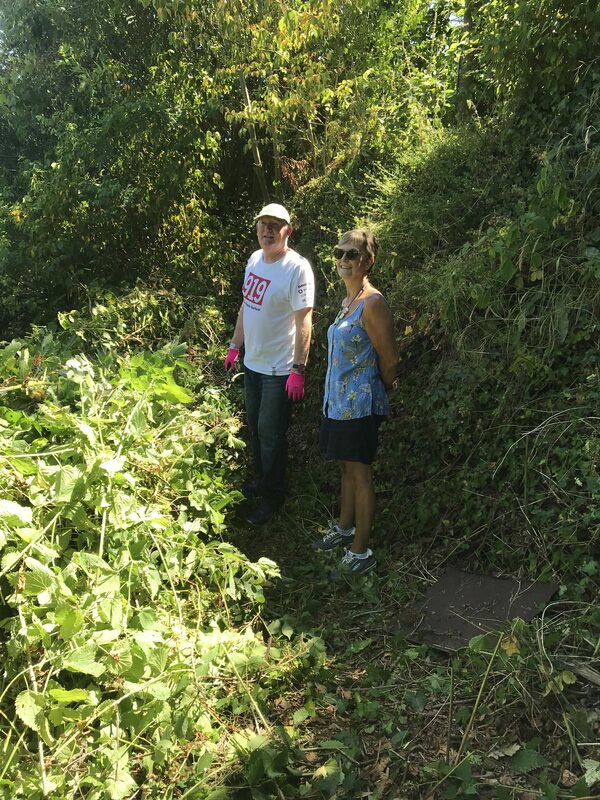 Dave spent another few hours clearing the brambles and next day, we actually made it to our small garden, at the very top of the cliff. 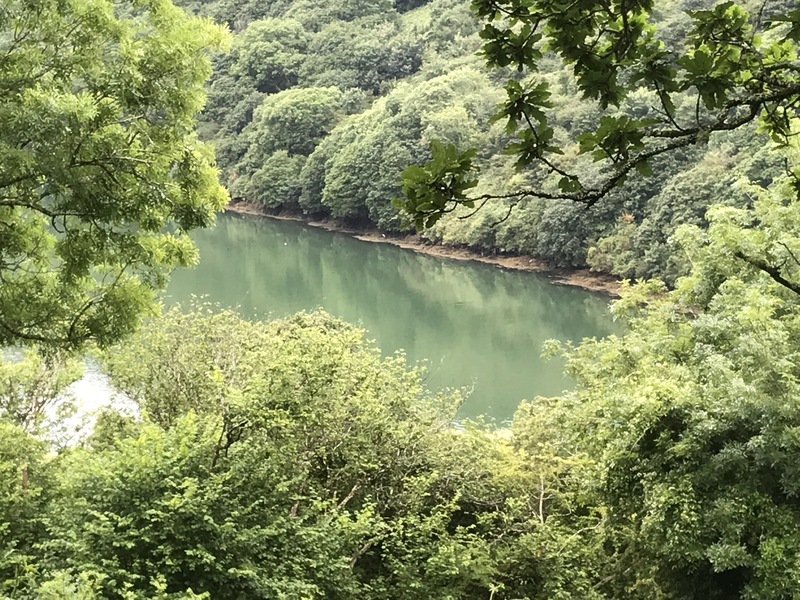 The views across the Fowey river were well worth the effort. We didn’t want to leave. The sun shone, the breeze blew and, at times, we felt we were basking on some sunny Mediterranean coast. 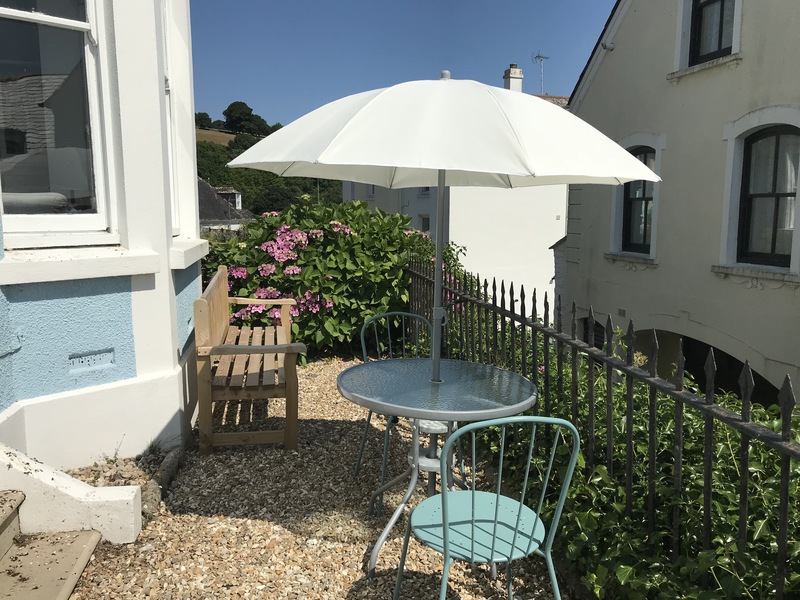 I’m off to Cornwall later in the year, but right now I’d give anything to be in Fowey. What a lovely entertaining post! Summer rain is wonderful. We had our first last night for weeks and weeks. We could hear people outside exclaiming so went out to see what was happening. So welcome! 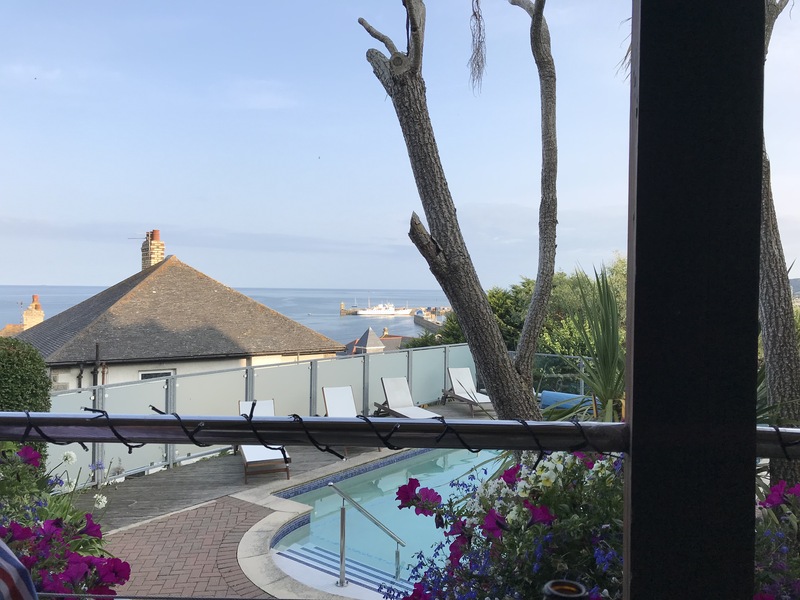 Your Cornish holiday sounds perfect – except for the walkers. 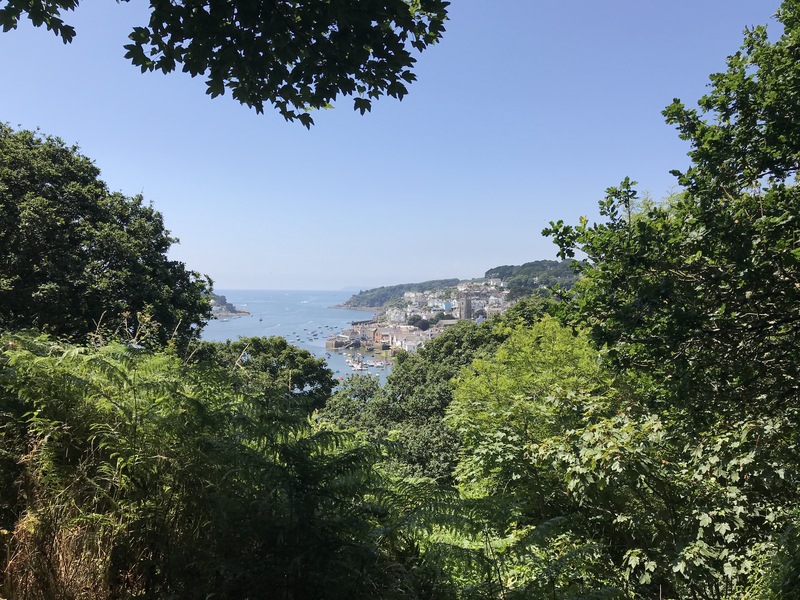 I was once elbowed into a bramble bush by a group of walkers (English!) down a lane. They wouldn’t move to one side to pass as all we dog walkers do, but just walked right at me! 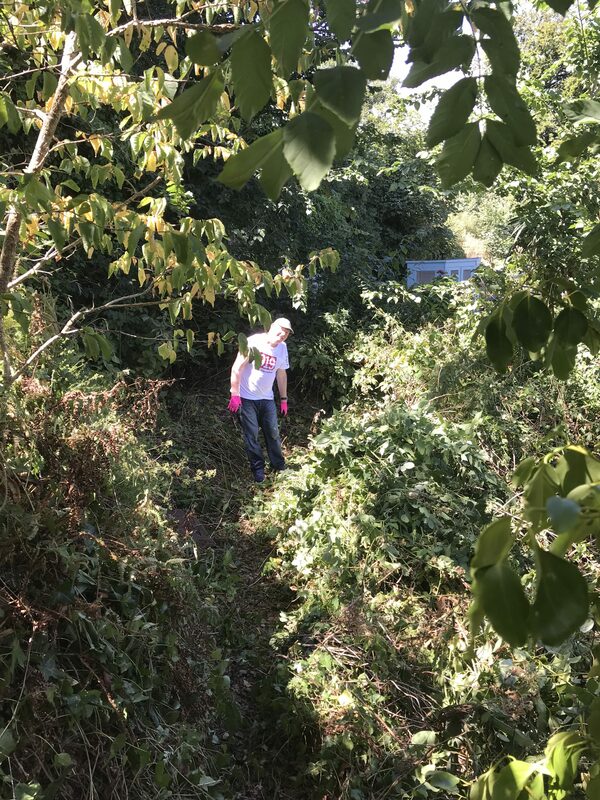 To add insult to injury, the only reason they could walk down the lane at all was because we dog walkers used it all year round and kept it from becoming overgrown! 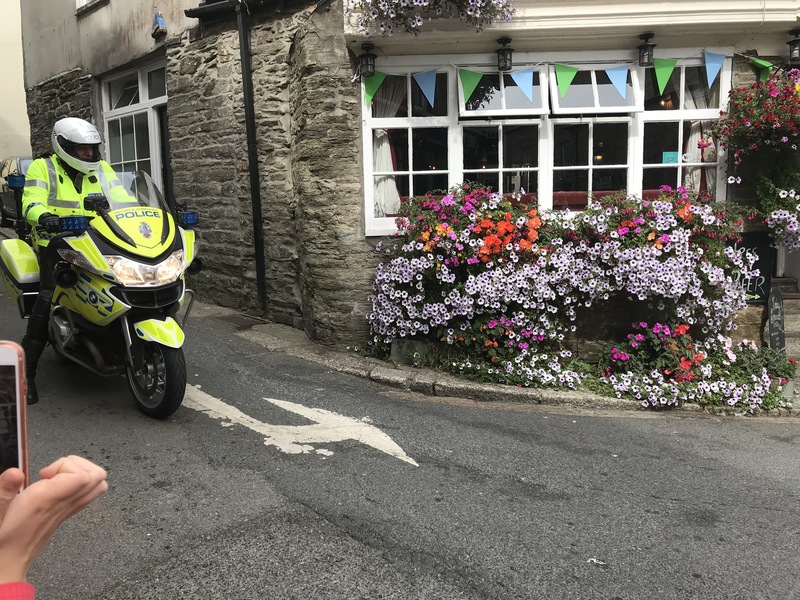 I loved all the photos – it looks very lush! There are stories to be told about some of those walkers I am sure Teresa! They seem to go into panic mode at the thought of being split up. Yes, the rain was welcome and we have had our share here, since of course. Our garden is getting greener this week although a serious underground water leak has kept it from being as brown as our neighbour’s I suspect. ‘They’ are coming to find and fix the leak at some point but at the moment it is still gushing out somewhere below ground we presume. eek! 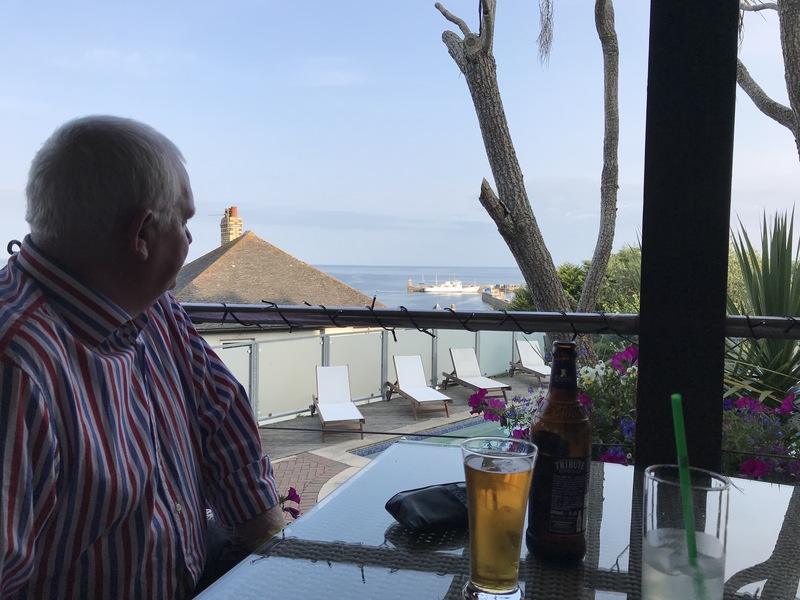 Hi Debbie – I should have mentioned the Minack Theatre … I expect you’ve been there … just beyond the Telegraph Museum … it’s a fascinating area … and that cable across the Atlantic … before reaching across the other seas and oceans. 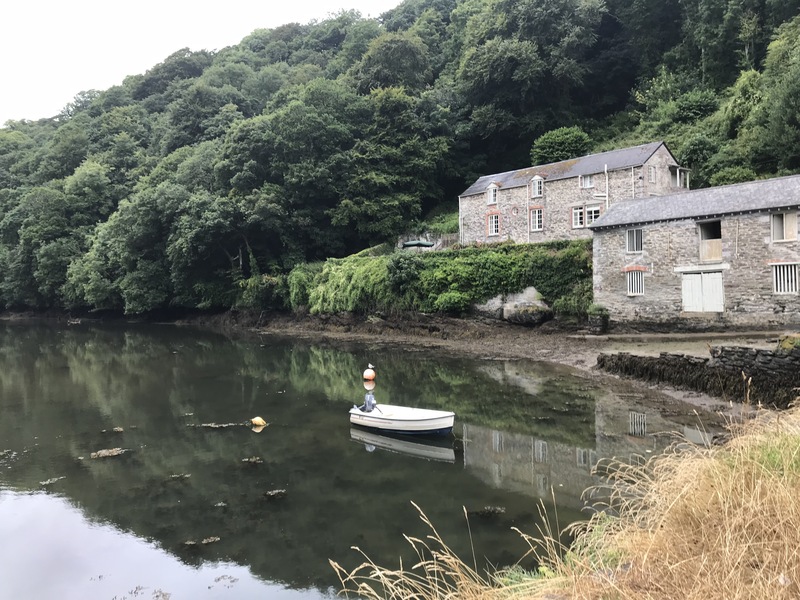 Cornish artists are amazing … and I wish I had that talent … so understand your ‘en plein air’ thing … dreams of writing or painting = me I had neither … I’ve got one … the other definitely didn’t get passed down!! Your holiday sounds wonderful and just what the spirit needed. Rain is foreign here right now after one of the wettest years on record. Have a Ferry story for you. Partner, Tom, was off with friends cycling Vancouver Island in June. Got on long ferry ride to the island, took off helmet and off flew his hearing aids. With no National health assistance the $5,400 replacements arrive next Tuesday. Have been trying not to yell as it is far to hot. good folks born in August – I am the 23rd! !